Good news for all keris collectors and admirers! 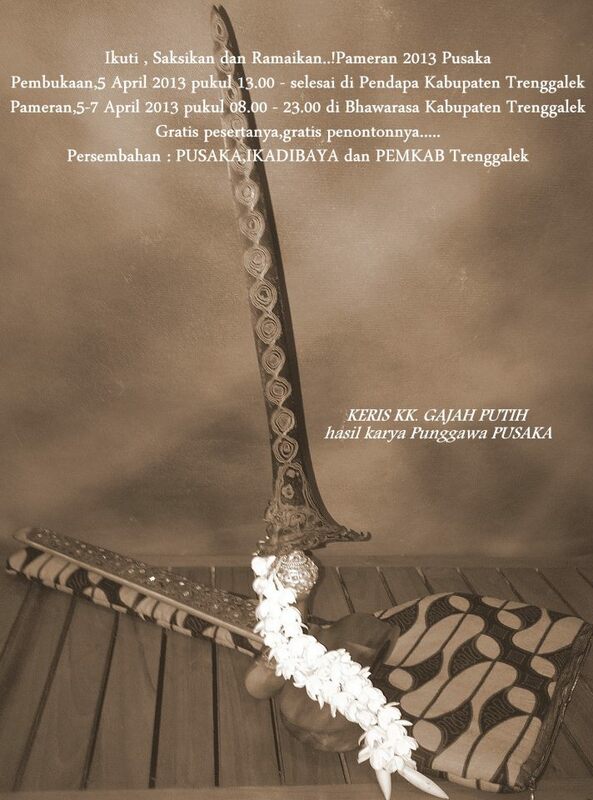 The first national keris exhibition of this year will be held on 5-7 April in Trenggalek, East-Java, Indonesia. 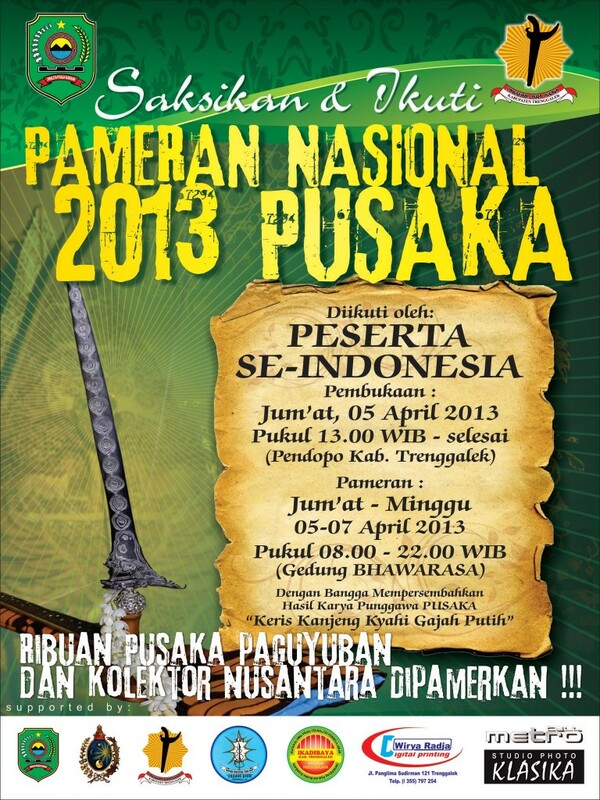 The official opening of the exhibition ‘Pameran Pusaka Nasional 2013’ will begin at 01:00 PM (W.I.B.) at the district pavilion of Trenggalek, East-Java, Indonesia. The numerous heirloom kerises (‘pusaka’) will be exhibited in the Bhawarasa building, which will be open from 08:00 AM – 22:00 PM (W.I.B.). This promising event is especially worth visiting for the rare opportunity created by the organisation who will exhibit the most exclusive pusaka heirloom keris called ‘Keris Kanjeng Kyahi Gajah Putih’. Furthermore, there will also be a keris market where one can witness the lively trade among the many keris collectors who will fill the place with literally thousands of pusaka items. And to make things yet even better; no entrance fees will be charged!